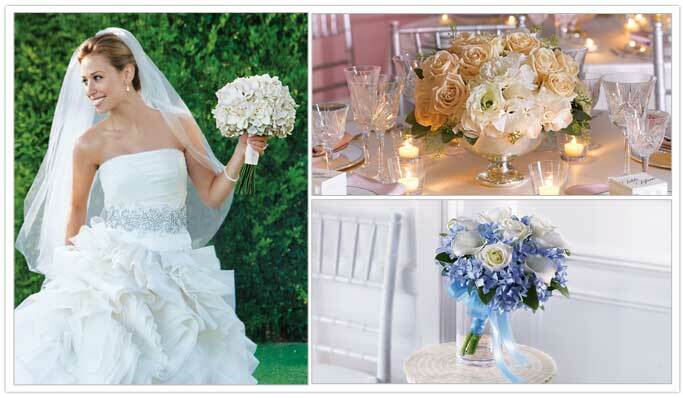 Choosing the flowers for your wedding is a crucial consideration. Once you've decided on the location, your dream gown and decor, it's time to determine what blossoms will add the romantic finishing touch on your big day. The blooms you choose can have a significant impact on the look of your ceremony, so you'll want to make sure they fit in with your personal style and the overall theme. With so many options, the process of selecting the perfect flowers for your bridal bouquet, corsages and boutonnieres can seem overwhelming. However, once you've figured out the mood you want to evoke, it's easy to pick the right types that will look stunning both during the actual event as well as in photographs. 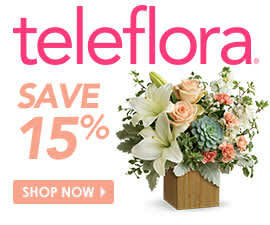 Of course, you'll need "something old," so why not choose flowers that evoke a vibe from the past? Retro continues to be a major trend, with many brides opting to wear vintage gowns and jewelry, as well as opting for old-fashioned decor. First, you'll need to choose which time period you're trying to emulate, whether it's the Victorian era or the Art Deco look of the 1920s. Consider pink heirloom roses and hydrangeas, which have a soft and simplistic feel in a hand-tied bouquet. A big trend right now is to include wild flowers and greenery such as waxflower and solidago for a bouquet that looks as if it was just picked from the garden. Gypsophilia, also known as Baby's Breath, and the delicate white Queen Anne's Lace are perfect fillers and look lovely with a gown from any past decade. Any flowers that your grandma may have grown, like peonies and carnations, will do. Even dahlias and delphiniums are appropriate for a retro wedding. Remember that in the early twentieth century, most brides utilized cascade or teardrop shade bouquets, which complemented the dress styles of that period. Of course, floral arrangements can be put into antique crystal vases and even china teapots from your family's collection or a local thrift shop to further increase the nostalgia and keep the theme consistent. The fashion-forward trendy bride may want an ultra-modernized look for her wedding. With the right flowers, you can easily achieve a bold statement. One way to do this is to choose a single color for all of the flowers. For example, note that bright orange Gerbera daisies or red poppies will stand out against white garments and otherwise neutral decor. If your bridesmaids are sporting dresses in a deep vivid color, all-white flowers such as orchids, hybrid lilies and gardenia will look incredibly stunning. Red carnations, amarylis and ranunculus are ideal options for winter wedding florals, and they add a touch of drama when they're the only splash of color at the ceremony. The eclectic bride may want to include offbeat blossoms in vibrant hues, like yellow craspedia or spider chrysanthemum, or striking red yarrow.